Football has been part of the sports program at Wetaskiwin Composite High School dating back to 1929. Over the decades, there have been some powerful and successful teams. From 1975 to 2006, Sabres teams won 10 league championships and one Provincial Tier III Championship. According to the coaches and key individuals behind the football program of that era, the 1986 team was the strongest and most talented. They were League Champions and played in the Provincial Championships at the Tier I level even though Wetaskiwin High School was classified as a Tier II school that year. 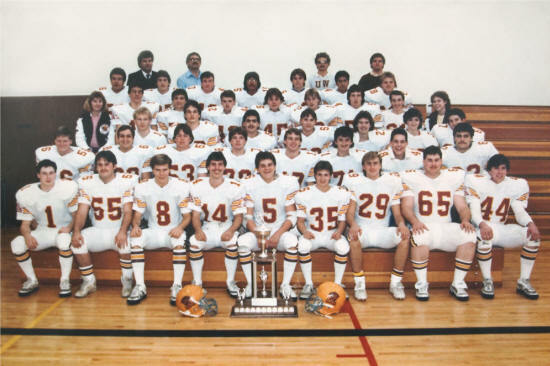 Since that time, the ‘tiering‘ of Alberta high school football has changed somewhat but in 1986, the Tier II designation was based on a school population of 400-799 students and Tier I schools had over 800 students. Other than the Raymond Comets, very few schools “opt up” to a higher division, especially from Tier II to Tier I as this means competing with Edmonton and Calgary High Schools with enrolments well over 1250 students and thus considerably more athletes to choose from. Prior to the season, the coaches of the 1986 team asked the players if they would consider competing at the Tier I level. The players happily accepted the challenge and the mantra, “To be the best in Alberta, we will compete against the best”. In doing so, the 1986 Sabres were certainly not outclassed. The 1986 Sabres played seven league games in the Central Alberta Football League that was comprised of eight teams. They were able to shake off a 27-0 loss to the Stettler Wildcats in their opening game and finished the remainder of the season undefeated. Statistically, the Sabres ranked highly in offense, defense and special teams. The Sabres offense was the best of the eight teams. They ranked first in: first downs, points scored and total yards gained. The offense gained a total of 3062 yards, averaging 437 yards per game. Most impressive was the Sabre’s passing game. The team’s passing offense was tops in the league by a large margin as they gained 1434 yards, an outstanding 205 yards per game and completed 82 passes of 157 attempts for a 52.2% average. The team that ranked second in passing gained 695 yards and had a 42.4% completion average. The balanced and unpredictable offensive schemes of the Sabres made them difficult for the opposing team to stop. Defensively, the Sabres ranked second in the league. After having 27 points scored against them in the opening game, the defense had 47 points scored against them in the remaining six games, less than 8 points per game. Two players on opposing teams were quoted in the press: “The Sabres are the hardest hitting defense in the league, they are aggressive and they are physical. They read and react very well to the offensive plays being run against them." In league playoffs the Sabres played Red Deer’s Camille J LeRouge Cougars in the semi-final winning 38-18. In the final, the Sabres played the Stettler Wildcats winning 23-12. It was the only loss for the Wildcats that year and the Wildcats went on to win the Provincial Tier II Championship. It was the Sabres first League Championship since 1979. In the Provincial Tier I Semi-Finals the Sabres played against the Salisbury Sabres who had upset the heavily favored, defending Provincial Tier I champions, Harry Ainlay Titans. Despite the bitterly cold and windy weather conditions, the Wetaskiwin Sabres took a 13-0 lead but could not maintain it. The Salisbury Sabres won the game 36-29 and then went on to defeat Lethbridge to win the Provincial Tier I Championship. 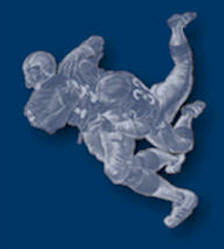 Six Sabres were selected to the twenty-six member CAFL All Star Team, the most permitted per team. Three offensive players and three defensive players were selected from the Sabres. Those six and four other players from the 1986 team went on to play Junior and University football. 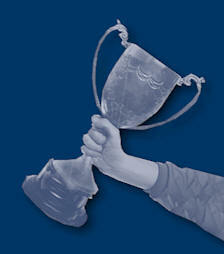 Two individuals were members of the team that won the BC Junior Championship and the Armadale Cup emblematic of the National Junior Championship. One of those players went on to win the Canadian Interuniversity Sport Western Championship and the Vanier Cup, emblematic of the CIS National Championship. 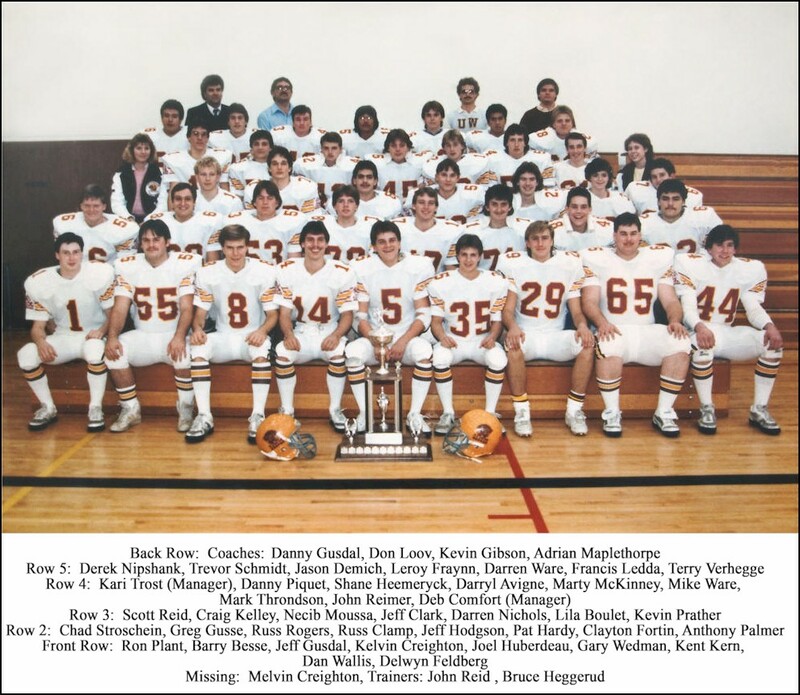 The Wetaskiwin Sabres 1986 Football Team laid a very solid foundation for the outstanding Sabres teams that followed, teams that would win six additional League Championships from 1987-1994 and who would play well in Provincial playoffs. The outstanding 1986 Sabres along with their exceptional coaches, managers and trainers are being recognized by their induction into the Wetaskiwin and County Sports Hall of Fame.